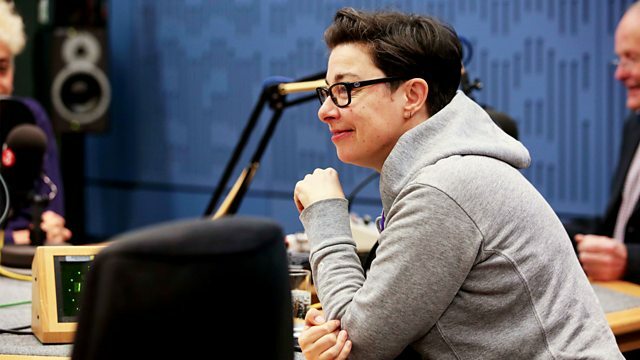 Clive Anderson and Emma Freud are joined by Sue Perkins, Ian Rankin, Nina Sosanya and Schalk Bezuidenhout for with an eclectic mix of conversation, music and comedy. With music from Delgres and The Breath. 'East of Croydon' is available now. 'Women on the Verge' continues on Thursdays at 22.00 on W.
'In A House of Lies' is available now. 'Schalk Bezuidenhout: South African White Boy' is at London's Soho Theatre until 20th October. 'Mo Jodi' is available now on Pias. 'Let The Cards Fall' is available now on Real World Records. The Breath are playing at Norwich Arts Centre on 30th, The Old Queen’s Head, London on 31st October and Trinity Centre, Bristol on 1st November.